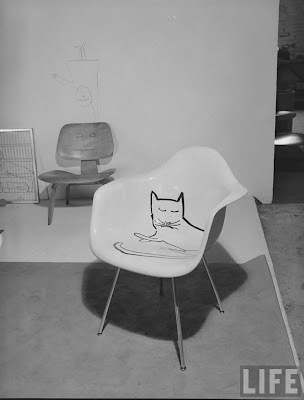 The North Elevation: Flashback: Eames + Saul Steinberg. 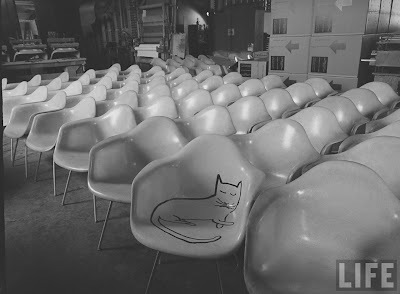 Flashback: Eames + Saul Steinberg. Cat Chair by Saul Steinberg. I am assuming these were taken at the Eames Office, 901 Washington Boulevard, in Venice. Photo by Peter Stackpole for Life Magazine. Choose the best Eames Chair India for your home at theurbandecor.com.This is the best Online Store for Designer Furniture.